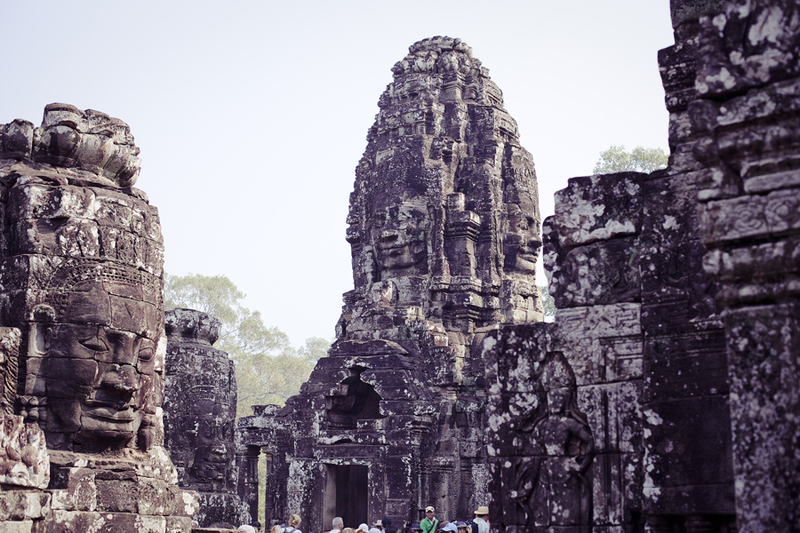 Angkor Thom was the next destination after our visit to Angkor Wat, lying just north of it. 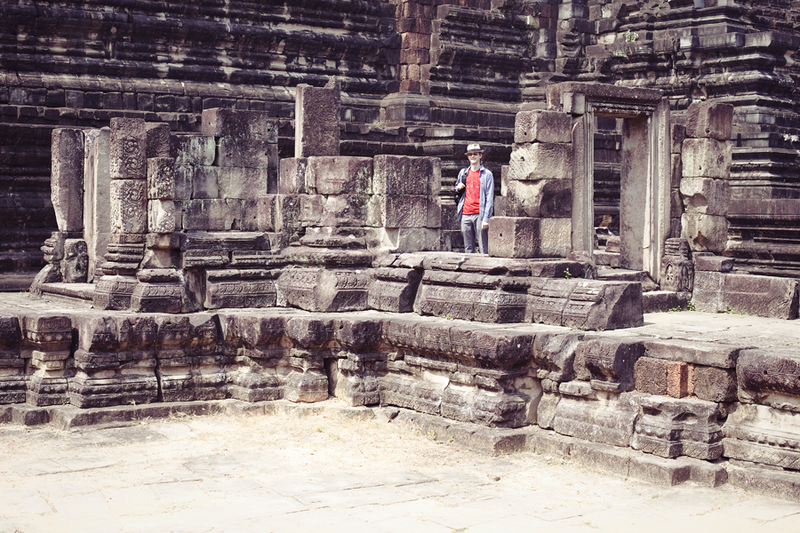 Angkor Thom is what I feel to be the next most famous site in the Angkor Region, consisting of quite a few temples within its moat. I’m ashamed to say that I don’t quite remember every temple that we visited, but here are two that were the most interesting to me. 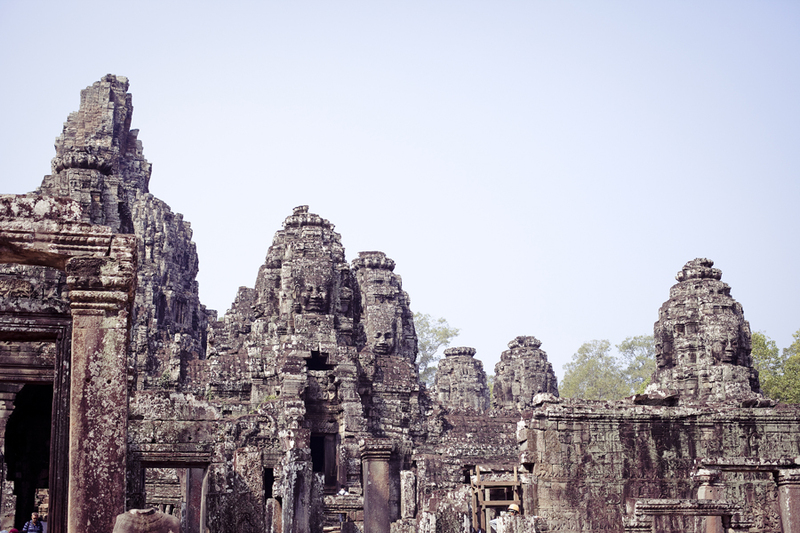 Bayon, with its propensity towards the weird and mysterious, was easily my favourite when I studied Asian Art History. 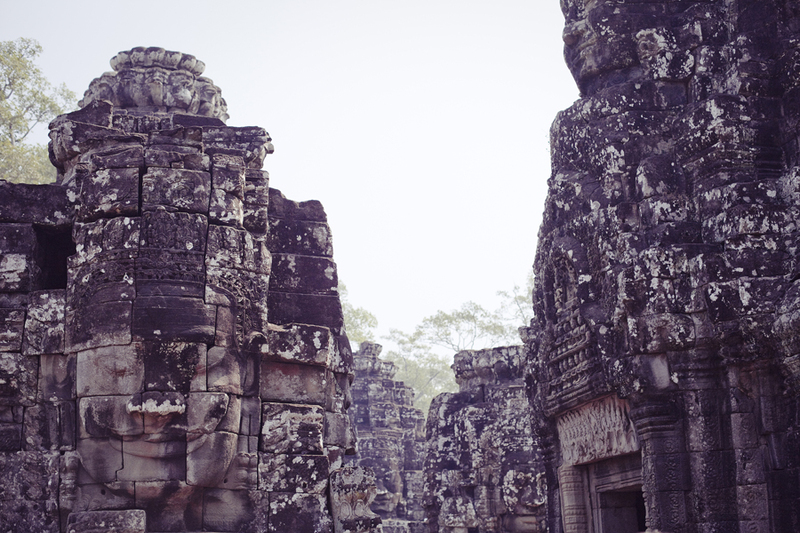 Granted, I didn’t actually care about the subject (evident by my inability to deviate from the Bs that plagued my essays), but Bayon still managed to stick in my mind after so many years. 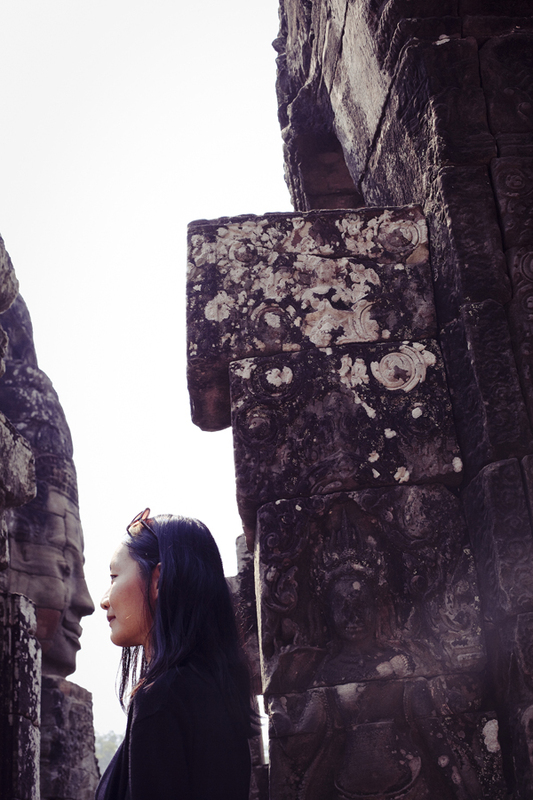 It was so satisfying to finally stand among these larger-than-life stone faces, gazing upon their benign smiles at every corner. 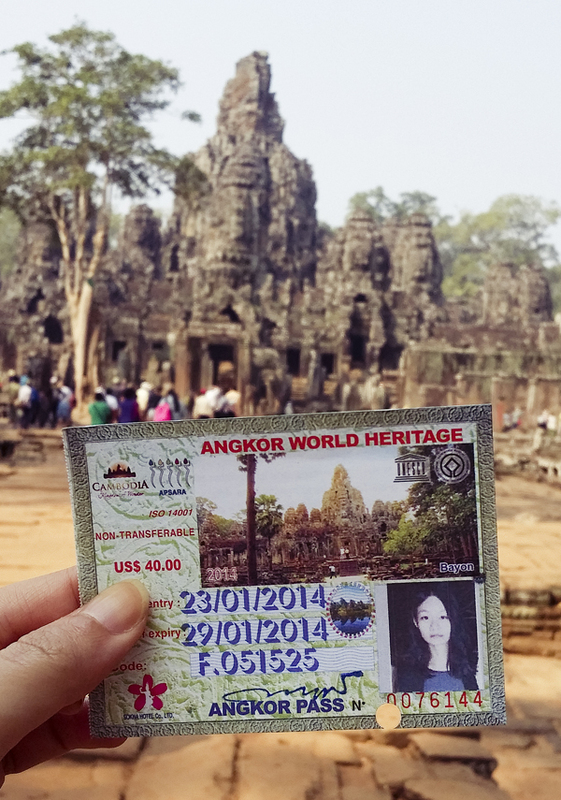 My three-day Angkor Pass against the entrance of Bayon. Look at how puny the humans are! One of the few expressively happy faces. 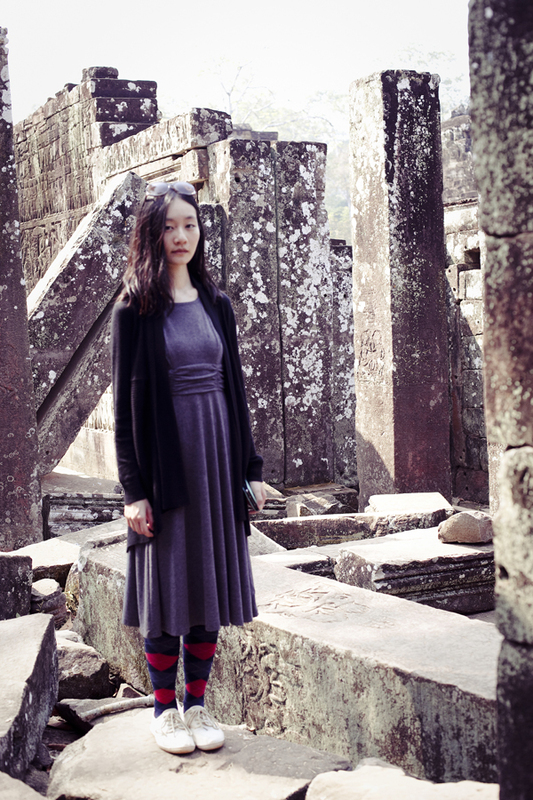 Standing on the ruins of Bayon. It is rare that Ottie takes a photo of me in which I am in focus. This is not one of those times. 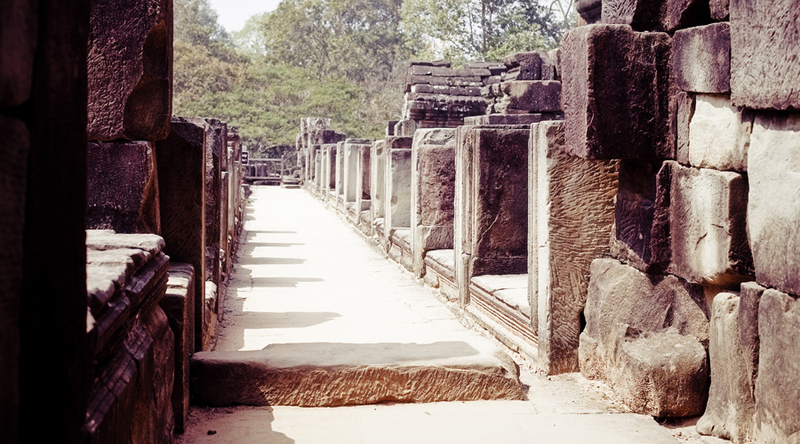 Frankly I had no idea what to expect at Baphuon, having had no recollection of studying it in Asian Art History. 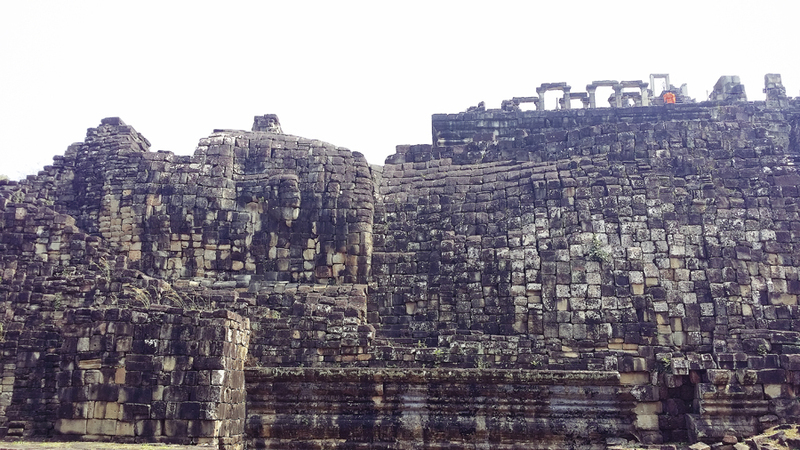 However, the structure was impressive in its own right, and a pretty exciting hike up and down the temple-mountain. 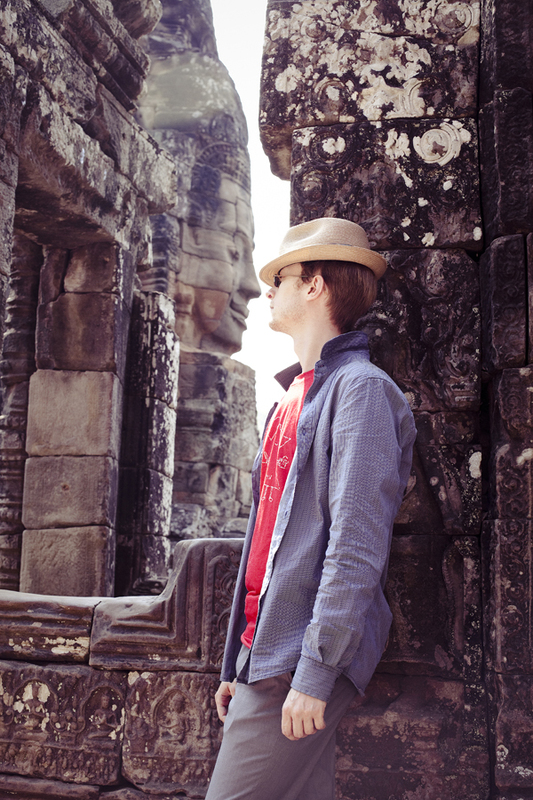 Viewing the lush green surroundings among ruins after climbing the steep incline was pretty rewarding. 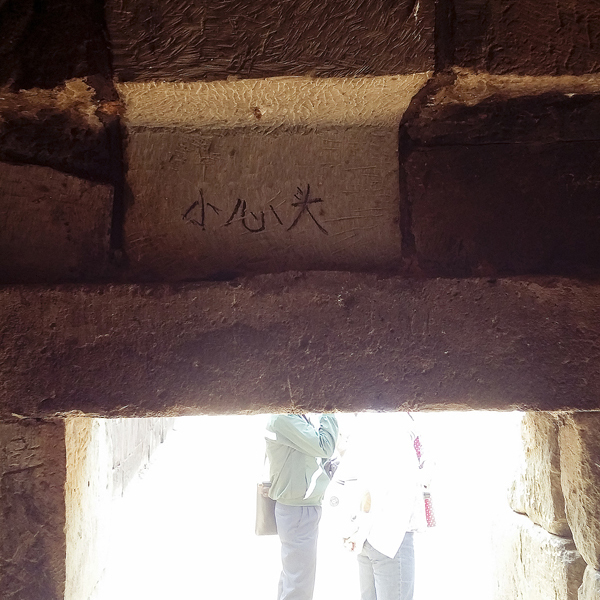 Someone had written ‘小心头’ (‘mind your head’ in Mandarin) above the low doorway to the open-air walkway on the second tier of the temple. Unfortunately, Ottie knew not a lick of Mandarin and suffered a bruising after he very loudly and painfully did not mind his head. It was funny and I’m not a good girlfriend. A reclining Buddha makes up the west side of the temple! So impressive- none of us even knew what to look for until Mr. Meng pointed us to the shape. 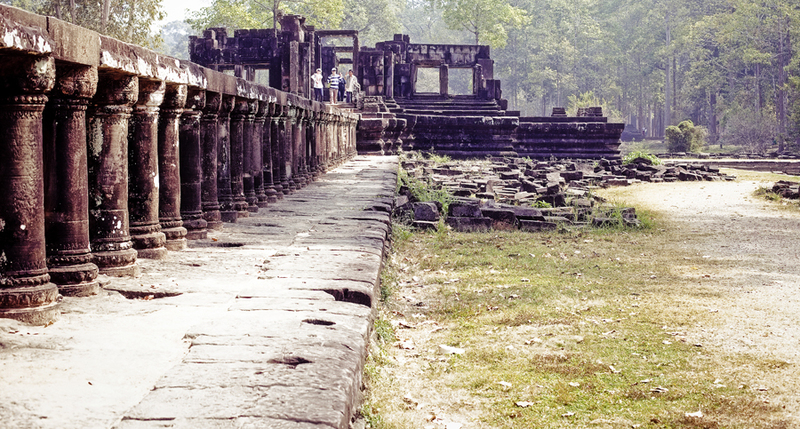 It was apparently added in the 16th century to the 11th century temple. 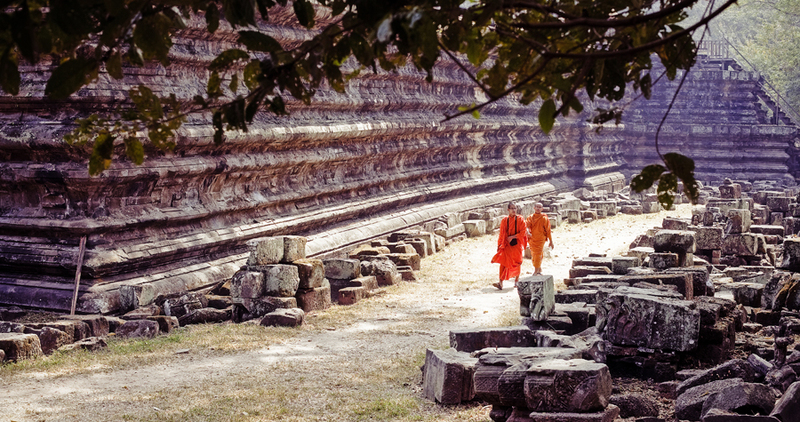 My favourite photo of the day: Two monks walking along Baphuon.